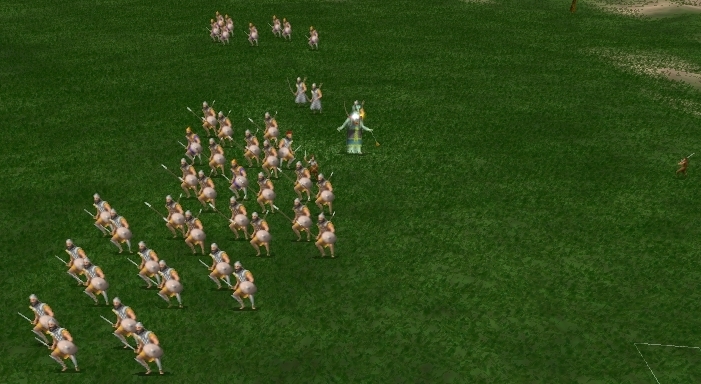 If you look carefully, you can see 10 Dawn Guard, a Barbarian Chief, and an indep Commander in amongst the capitol's 25 PD. This is also pretty bad, because it's 4 Wolf Tribe Archers that I could have stopped with a handful of PD rather than just 1. 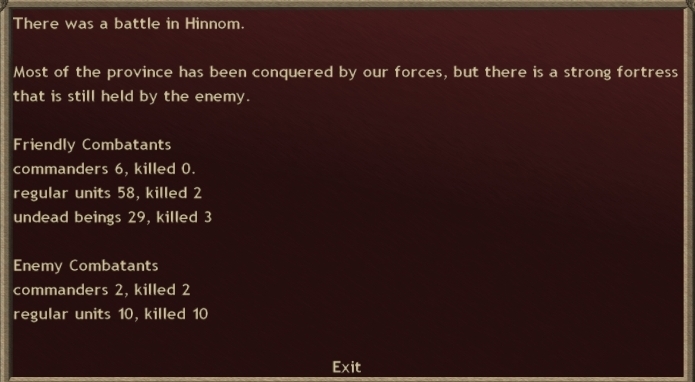 Note, Hinnom has 120 unrest already. More than 100 unrest prevents recruitment. I don't even have to siege this for mission accomplished. I really should stick around, because I'm wrecking the walls and Hinnom without their cap amounts to nothing at all, but Sauro on my cap would be game over for me. Ugh. 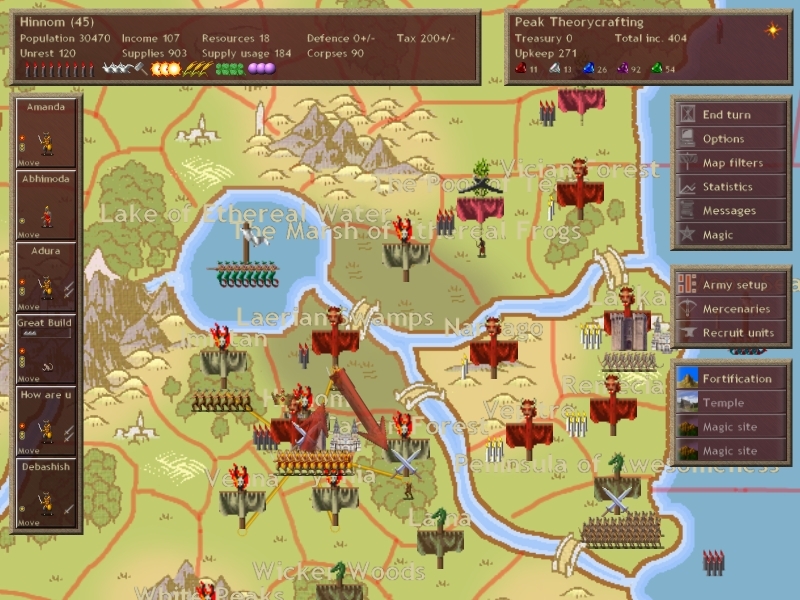 I send a raiding group south to threaten Sauro's border and set up the rest of the army for a defensive move Archer slaughter. In retrospect this is really a diplo failure more than anything. Next turn: Storm against its intended target?